Bulldog Movers is an elite cross country mover that has earned the patronage of countless residents of East Cobb, Georgia, since our founding in 1982. At Bulldog, we know it can be difficult to entrust your most valuable belongings in the hands of strangers, which is why we go to great lengths to ensure that each cross country mover on our team has passed a thorough background check, boasts years of industry experience, and maintains a friendly disposition. This way, you can feel confident knowing your possessions are in the hands of trustworthy and highly qualified individuals who will treat you and your items with respect and care. Because of the strong emphasis we place on providing exceptional customer service, we’ve garnered numerous accolades, including the Consumers’ Choice Award for nine years in a row, as well as an A+ rating with the Better Business Bureau. 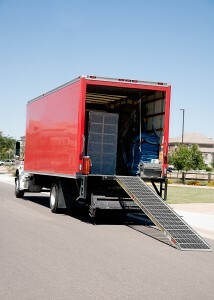 To learn more about choosing us as your cross country mover, please contact Bulldog Movers today. We are proud to offer our services to residents of East Cobb, GA.